An exciting new environmental project called the Future Greens is looking for volunteers with a passion for nature, the outdoors and the environment. The Big Warsop funded project begins this month in the Warsop area and is a partnership between Vibrant Warsop and Eco-logic, a local social enterprise. want to help improve local green spaces. If this sounds like you, then you could be just the person Vibrant Warsop and Eco-logic are looking for. 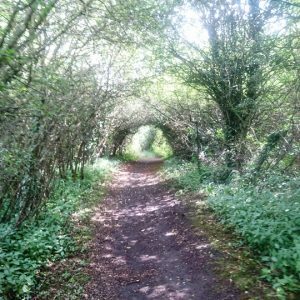 The project involves carrying out conservation-based tasks on important green spaces and on the Rights of Way network within the Warsop area. Future Greens will work with the District Council, Natural England, the Warsop Footpaths and Countryside Group and the Friends of the Carrs, to identify a variety of environmental tasks that – once completed – will help to enhance the local area. If you are not a member of any of the above groups but would still like to support the project or share your ideas on how we can improve other green spaces, the project team would like to hear from you. Future Greens will also be working with local school children to raise awareness of the importance and value of our local green spaces and to improve knowledge and understanding of important local sites and the plant and animal communities that rely on them, including ourselves. There will be opportunities for the right people to support the project manager in working with the schools. A DBS check will be required, which will be paid for by the project. The project team has already identified a variety of sites that the volunteers will work on over the next twelve months. 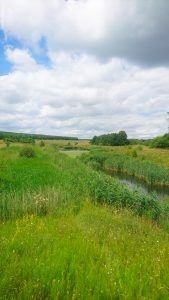 The sites are of key importance to wildlife and the local community and the aim is to carry out maintenance tasks across the sites with a view to creating a social enterprise model that will enable work to continue beyond the duration of the project. The project tasks will be achieved by working closely with the Warsop Footpaths and Countryside Group and the Friends of the Carrs, with support from Mansfield District Council and Natural England. This will ensure that the work being done is appropriate and relevant to existing programmes and management plans. The work will take place on local nature reserves such as The Bottoms and the Carrs, and local Sites of Special Scientific Interest, namely Hills and Holes. Futures Green is also keen to improve the rights of way network to increase the potential for local people to enjoy and appreciate the local environment. the development of interpretation material to promote and help with our understanding of the countryside and how and why we manage it in certain ways. Future Greens will also be exploring the rights of way network, which will provide volunteers with opportunities to improve their map reading and navigational skills. These tasks will be undertaken on Wednesdays. Eco-logic, in partnership with the Sherwood Forest Trust and the owner of Blakeley Lane campsite, is working on an exciting straw bale build within the Sherwood Forest area. The straw bale building will become a heritage and environmental training centre, delivering courses in green wood crafts and environmental management. Work has already started on the build and it is anticipated that the bulk of the work will be finished within the next couple of months. If you are interested in helping with the construction and feel that you have the right attitude, then please get in touch using the contact details below. The work will involve carrying out techniques required for the construction of straw bale buildings and, as such, this can be physically demanding. However, if you like to work outdoors and are physically fit, this could be the ideal project for you. There may also be opportunities for people to undertake site maintenance tasks, helping to keep the site presentable and secure for the many campers that visit the site. This work will generally take place on Mondays, Tuesdays, Fridays and, at times, on Saturday mornings. Or talk to your personal advisor, if you have one.